Turnover is inevitable. Every person you hire will eventually leave your organization. Whether employees leave for more enticing positions, move away, become full-time family caretakers, or retire after decades of priceless contributions, no one will be with you forever. But turnover isn’t always a bad thing; in fact, it’s a natural part of the employee life cycle. How long an employee stays with your company merits consideration but time is not a reliable indicator of the quality of their tenure. It’s their contributions and the experiences they share with your organization during their tenure that make the greatest impact. So how do you create strong mutual value for the employee and employer’s time together? By consciously implementing tools and practices that focus on improving every stage of the employee lifecycle, from candidate to graduate. We’ve outlined five stages of the employee lifecycle and identified some steps you can take during each stage to maximize both the value that employees can offer your organization and the value your organization contributes in kind to their lives. When it comes to recruitment, we all strive to find the ideal candidate who will join our team and help propel us to higher levels of success. Employers have come a long way from placing ads in the newspaper and hoping that the right person responds. Attracting top talent requires far deeper and more targeted searches. Thankfully, digital help is available. One way of optimizing job descriptions to appeal to the broadest base of candidates is by working to eliminate unintended bias. You can use Textio, an online writing platform, to revise the language of your job listings and appeal to a more diverse, more qualified pool of applicants. Once you’ve optimized your job descriptions, tools like Wayup make it easier to reach great candidates for entry-level positions. GapJumpers hosts blind auditions so companies can evaluate candidates by the quality of their interview performance instead of the formatting of their resumes. All of these tools can help expand your talent pool and identify people who will be a great fit for you and your team, all while improving the experience for those candidates. Providing an excellent candidate experience, even for candidates who don’t join your team, can have a profound impact on your employer brand. You’ve found the best employees for your company and they’re excited to get started. Do you have processes in place to make the first few weeks memorable and engaging? Effective onboarding helps ensure long-term engagement. The onboarding process isn’t just for going over your new employee’s job function, but also for clarifying how their position supports the overall mission of the company. 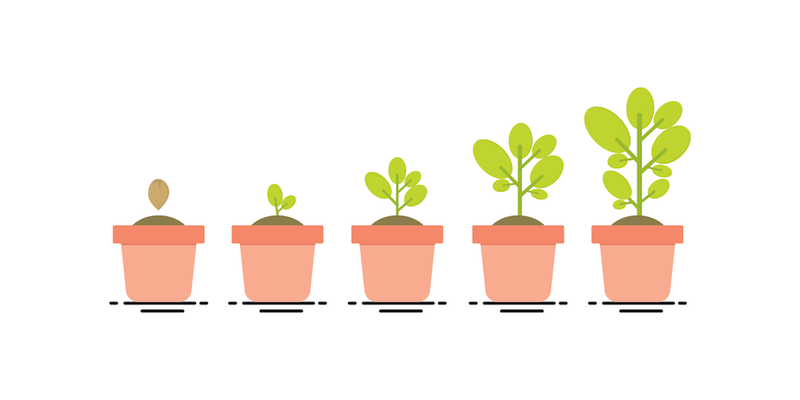 To get the most from the time and energy you’re investing in proper onboarding, consider using Sapling, a strategic onboarding tool that helps new hires reach productivity faster and more reliably. Software isn’t the only way to improve this stage of the employee lifecycle, though. Your existing employees can also help acclimate new hires. It's crucial to have the whole team invested in successful onboarding since peer relationships, mentoring, and a friendly work environment are essential ingredients for building an engaged workforce. Fair wages and benefits are important considerations, the basic components of your employee value proposition (EVP). But modern employees aren't simply looking for a paycheck; they're looking for a mutually beneficial partnership, one that enriches and elevates both parties. In most cases, employees innately want to grow and develop their skills so they can perform well at work and take charge of their own enrichment. Vishen Lakhiani, cofounder of Mindvalley, presented a TEDx talk that listed “Five Ways to Build the World’s Greatest Workplace.” In his talk, Lakhiani builds a compelling case for catering to employees. All of his ideas are geared towards augmenting employees’ comfort, family/work time balance, social life, and growth. Lakhiani says that the key is to make the employee’s work their mission so that they can feel a sense of ownership over it. Providing a recognition-rich environment is one of the easiest ways to illuminate the purpose of an employee’s work. Each time an employee receives recognition from a colleague, they’re given a salient example of the impact their work has on their team and, in many cases, the impact it has on the outside world. Veterans are likely among your organization’s top contributing members, but they’re also very likely to be at critical points in their careers. Veterans will either have the room and the tools they need to thrive or they’ll start to look for greener pastures. How do you provide the right environment for your veteran employees to continue flourishing? Let’s begin with the work environment and how you can improve it to support this phase of the employee life cycle. Supportive work environments are instrumental to keeping employees engaged with their work and motivated to continue making their best contributions. When you instill trust in your employees and empower them by giving them greater autonomy over the work they do, you are investing in long-term engagement. In a recent Harvard Business Review article, Andrew Chamberlain explained why the cost of replacing veteran employees who quit is on average, 21 percent of their annual pay. Knowing what your employees are thinking or feeling at any given time is one of the most difficult aspects of employee retention. Instead of attempting to read your employees’ minds or expecting them to consistently and proactively voice their concerns, you can solicit that information directly and frequently with employee surveys. There are a number of modern tools, including CultureAmp, Typeform, and TINYpulse, that can make administering employee surveys both simple and effective. By regularly taking the pulse of your veteran team members, you can be proactive about employee retention while maintaining a high level of quality in this crucial stage of the employee life cycle. With help from STAYview, a cloud-based app from HRSoft, you can conduct what it calls “stay interviews” and create “stay plans” for employees. By conducting these kinds of interviews, management can anticipate potential leave issues and develop action plans that get everyone involved. Although we want to keep employees engaged for a very long time, every employee life cycle has an endpoint. This is perhaps one of the most important stages of the employee lifecycle to get right. The moments after an employee leaves your organization are marked by the genuine pride and joy of a graduation or the bitter resentment of a bad break-up. In both of these scenarios, your employer brand is on display. It’s valuable to learn why employees decide to leave. Exit interviews, employee pulse surveys, and frequent 360 feedback efforts can distill the reasons employees leave and point to existing processes that need adjusting. When the time comes to say goodbye to a valued team member, Oracle’s Employee Separation to Workforce Analysis tool can process the employee separation, provide an exit interview checklist, finalize compensation, post to payroll, and provide an analysis of workforce trends based on region, department, job and geography. Whichever tools or processes you choose for this last stage of the employee lifecycle, your focus should be on highlighting the value of the employee’s contributions and readying them for their next step. A Society for Human Resource Management (SHRM) Special Expertise Panel found that some of the top challenges facing HR departments today are steeper competition for talent, new developments in technology, a rising sense of insecurity, and demographic shifts. All of these elements have a huge impact on the current employee life cycle. To stay competitive and keep employees engaged, research additional tools and strategies for your employee lifecycle toolbox. As with other technology, HR tech is only getting better and some are changing practically overnight. Staying competitive means continually improving every aspect of the employee life cycle by using the best tools and strategies at your disposal. Although it’s no small amount of work to stay at the cutting edge of employee experience, the return on investment far outweighs the cost. 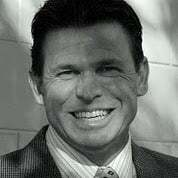 Johnny Duncan is an author and consultant with over 22 years experience helping to provide solutions to small businesses with the people side of business.